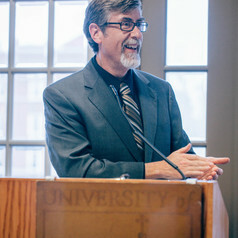 Arthur “Art” Jipson is an Associate Professor of Sociology in the Department of Sociology, Anthropology, and Social Work at the University of Dayton. For eleven years he was the Director of the Criminal Justice Studies Program. His work has been published in the Journal of Criminal Justice Education, Journal of the Institute of Justice & International Studies, Research in Political Sociology, The American Sociologist, The Justice Professional, American Journal of Criminal Justice, and The International Review of Law, Computers and Technology, and Popular Music and Society. He edited a special issue of Sociological Focus with Paul Becker on research on White racial extremism and hate crime in 2000. His research plans include researching Internet community, extremism and cybercrime, investigating roadside memorials and the laws that regulate them, continuing to work on the issues of quality of work life in police departments, and investigating popular culture depictions of correctional and policing institutions. He can be reached via email at ajipson1@udayton.edu.